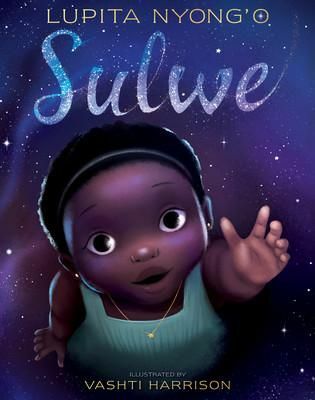 NOTE: I am not paid to review this and other products. All products are purchased via my own pocket and curiosity. Purpose: To moisturize dry hair, scalp, and/or skin. 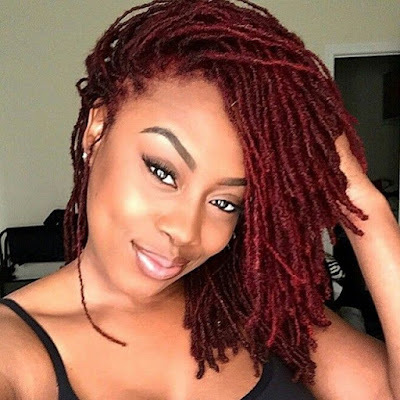 Ingredients: shea, illipe, mango, kokum butters, grapefruit and pear essential oils, vitamins A, D, & E.
My favorite characteristics about this product are the natural ingredients, mango-like smell, thickness, moisturizing capability, and versatility. For me, Jane Carter Nourish & Shine was most effective as a sealing agent after washing or wetting my hair ... AND on my skin (particularly, on my elbows, knees, and ankles) after bathing. My not-so-favorite characteristic is the $22 price for the 4 oz. This pricing may be due to the ingredients being all natural and shea butter being high on the list (number one to be exact). Thus, one is paying for ingredient richness when purchasing this product. 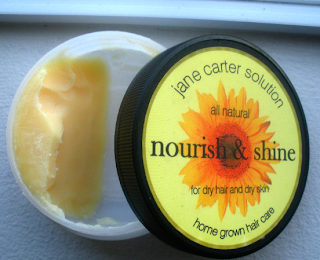 Additionally, a little bit of Jane Carter Nourish & Shine goes a long, long way. RATING: Overall, I give the Jane Carter Nourish & Shine 4 out of 5 stars. If it were inexpensive, I'd probably give it a full 5 stars. It's very good as a body butter. Jane Carter Nourish & Shine is the bomb! I love how this product makes my fro so fluffy and soft. Although, expensive its worth every penny.